1. Late Night Holiday Shopping on 4th St.
Shop at local boutiques in the Mission neighbourhood until 8 pm on Thursday, November 30 and Thursday, December 7. If you spend $100 total at any of the 15+ participating retailers (easy to do, once you see all the great products available at these shops) you’ll get a free, fresh, real Christmas tree. 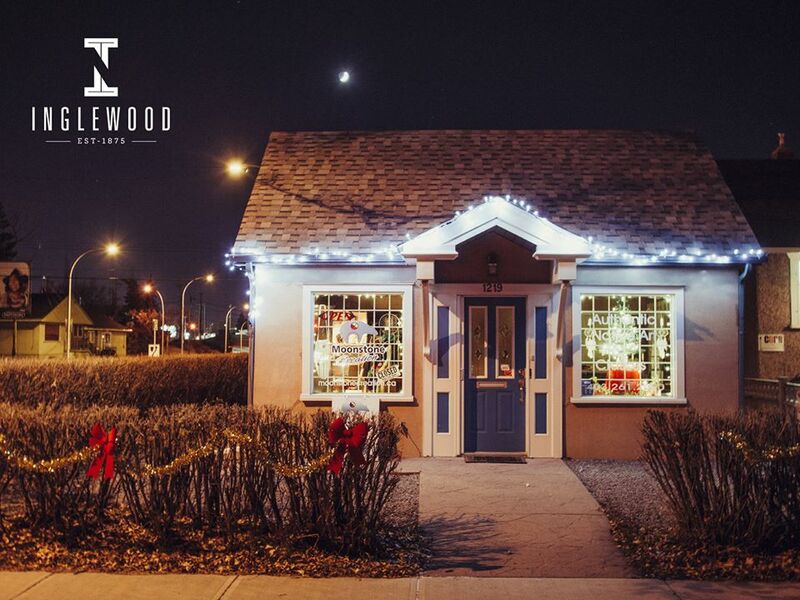 Shop the local boutiques in Inglewood until 8 pm on Thursday, November 30 and enjoy music, food vendors, special promotions and more on 9th Street as the holiday season kicks off in this neighbourhood. Then, for the first three weekends in December, head over to the Inglewood Warehouse (just a few blocks from the main strip on 13th Street) for Market Collective. Find Pinterest-perfect gift ideas, home decor and gourmet food from creative local makers. The first three weekends in December are full of Christmas spirit in Kensington. There are different events every weekend, but expect things like horse and wagon rides, photos with Santa, holiday movies at the Plaza Theatre, special deals in the local shops and more. Stroll down Stephen Avenue and you just might hear Christmas carolers (on Tuesdays and Thursdays between 4:15 pm and 5:15 pm). On December 9, bring your skates, head to Olympic Plaza and skate with Santa himself! On Saturday nights you can skate along to DJ music, and while Santa won’t be there, it’ll still be a lot of fun. This annual light display takes over Confederation Park for the holidays. Drive by to view over 300,000 glowing lights —it’s free, fun and runs from December 2 – January 9. Grab a coffee from Phil and Sebastian, then browse the local vendors at this community art and craft fair on December 2. Visit one of Canyon Meadows’ neighbourhood pubs in your best ugly Christmas sweater and enjoy karaoke, food, drinks and mingling with your community.